However, probably the best description of her is that she is, like a pane of glass, “hard, but brittle”. She somehow musters enough Thatcher-like strength to stay upright within her frame, yet by lacking the security of any strong, inner convictions she is always vulnerable to those who may throw stones. She supported Remain in the referendum, yet, as easy as it is to conclude that this latest agreement displays her credentials as a pure Remainer, it is worth remembering that she was hardly one of Remain’s most vociferous advocates. 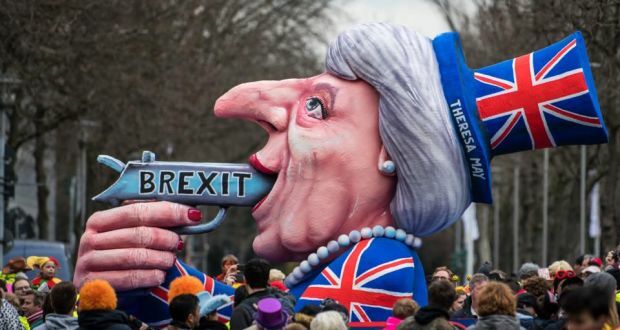 With equal half-heartedness she subsequently promised to “deliver” Brexit but has failed to provide any justification of why leaving the EU is a good thing independent of the fact that people voted for it. Her ability to say one thing while meaning and doing another – a characteristic she has displayed since she was Home Secretary – suggests that, instead of clinging to any deeply cherished principles, her overriding concern is to be able to wriggle her way into the fringes of any possible position and thus protect herself from anyone anywhere who may be prepared to lob those stones. Her press conference on the evening of Thursday 15thNovember – during which most of the room was expecting her to announce her resignation in the wake of half a dozen or so ministerial departures – was an embarrassing testament to this view. As usual, she read from a strongly worded, statesmanlike script, yet she was audibly nervous, shaken, even terrified in the subsequent Q&A, mixing up everybody’s names and cobbling together incoherent, improvisatory answers that make Sarah Palin look like Jordan Peterson. The final aspect to which we should turn our attention is the spectre of pan-European armed forces – something which Britain’s involvement in has received little attention but is summarised in the following, short documentary by young, Leave supporting journalist Steven Edgington.